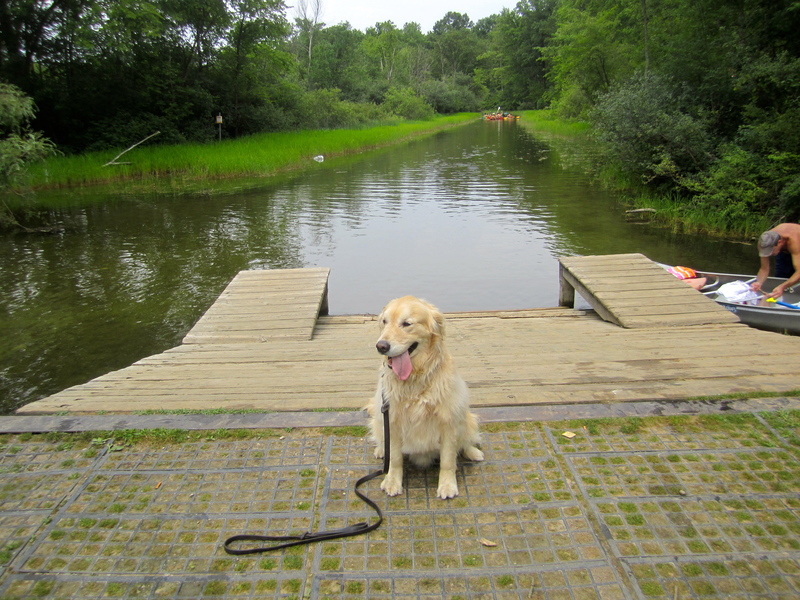 Today I took a walk accompanied by a new friend, Joker; a sweet Golden Retriever who is a new board and train dog. He came for training to improve his basic obedience commands, to walk on a loose leash and to be able to do a place command when guests come to the front door or when the family eats dinner. But that’s not the story this time. This story is more about the new perspectives one can obtain when separated from the hustle and bustle of the world and take notice of what’s right in front of them. For me, that’s taking a walk with a dog and this time it was with Joker at Proud Lake Recreational Area, in Commerce Township, Michigan. Proud Lake’s forest has some amazing scenery. 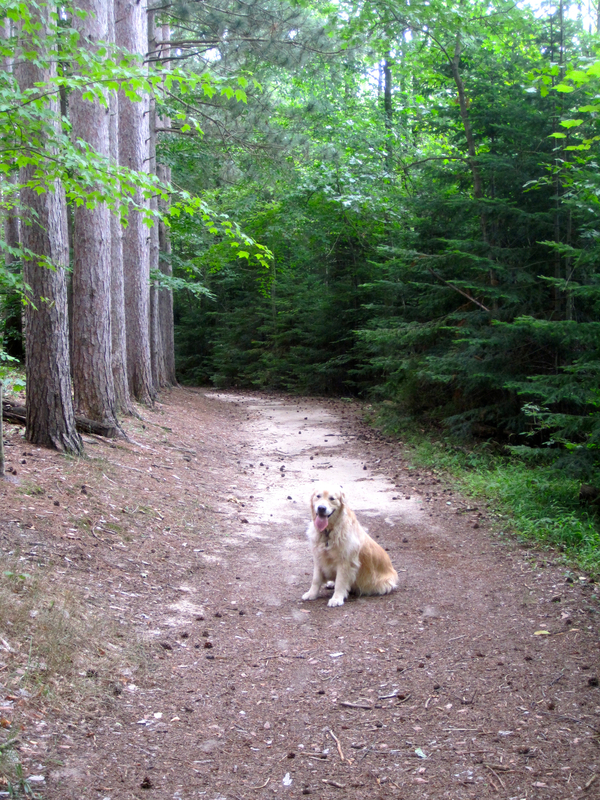 One of my favorite spots at Proud Lake is a ridge of beautiful pine tress. It makes a great back drop for taking pictures. Then as one follows the ridge, there are opportunities for more beautiful pictures. Normally, I simply look forward, the direction I am going. And, as you can guess, that’s a good thing. 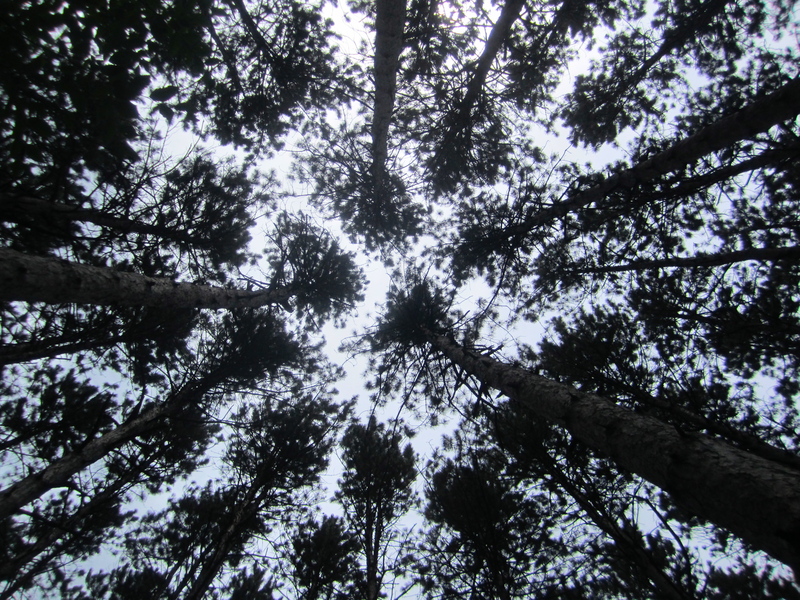 But today, amongst the pine trees, I looked up and saw an amazing canopy of pine trees stretching up to the sky. It was beautiful as it appeared the trees were framing a center circle of the sky. This reminded me of the phrase, “the sky’s the limit.” And, with that was another thought that we humans place so much energy on the problems of our lives. When we do this, we’re left with little time and energy to focus on what we want out of life. Fear freezes one’s momentum. Dogs think and operate in the moment. They’re not getting weighed down by thoughts of “woe is me” but instead he was enjoying a beautiful off leash walk through the forest by my side. 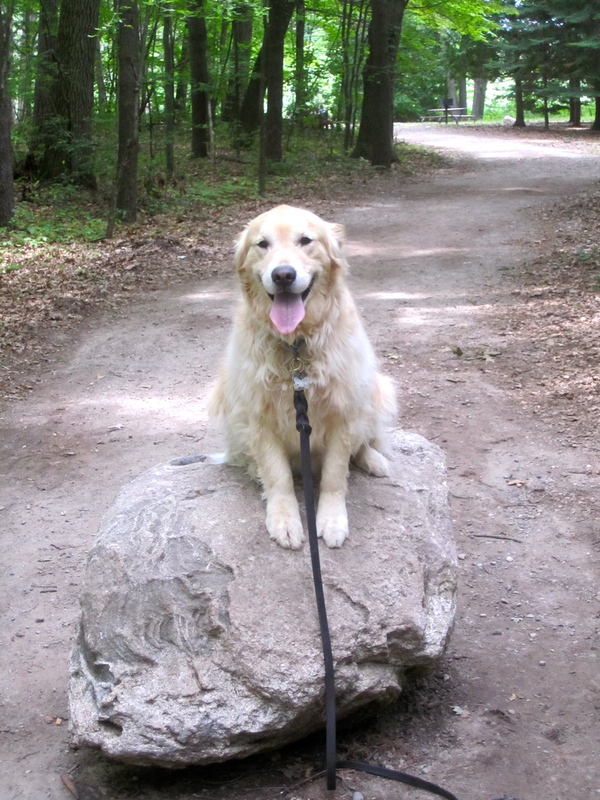 He also appeared to be having fun practicing his place command amongst the various rocks and benches I pointed to. When done right, dog training is a fun game to play for the dog and the human too. It provides life lessons as well. 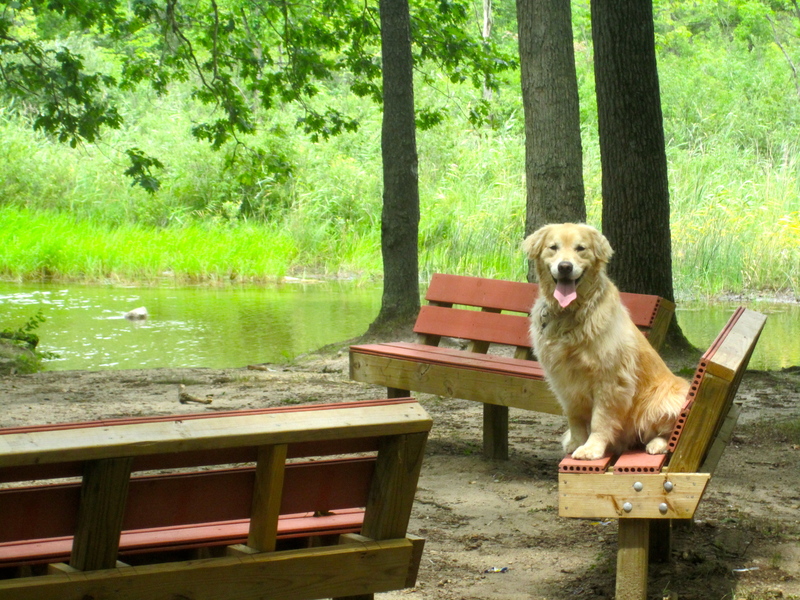 This entry was posted in Uncategorized and tagged board and train, Commerce Township, dog, dog training, Golden Retriever, michael burkey, off leash heeling, Pets, professional michigan dog trainer. Bookmark the permalink.